My Favorite 15 Best Wrist Watches for Men with Style! What are the Best Watches for Men? Nowadays there are literally thousands and thousands of men’s watches in all prices, colors, designs and styles! *Special ops watches are among the top quality men’s watches being sold right now! They are very solid, excellent built and look absolutely amazing! Men love to wear cool wrist watches! On this page you are going to find the best wrist watches for men being sold right now! You will only find high-quality pieces beautiful men’s watches that will last for a long time! A beautiful men’s watch makes an excellent gift idea for husbands as well! I also love to see a guy wearing a beautiful, high-quality sports watch! I am going to divide the men’s watches on this page in according to price, style, design and quality! 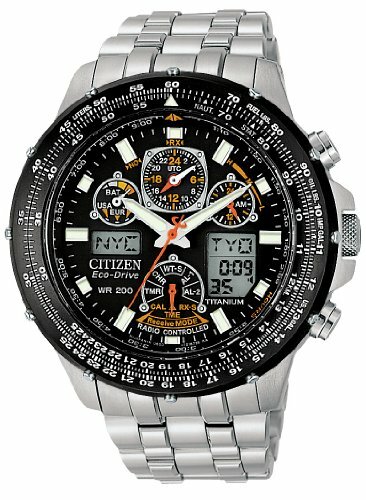 This is the Citizen ‘Skyhawk’ titanium men’s watch! 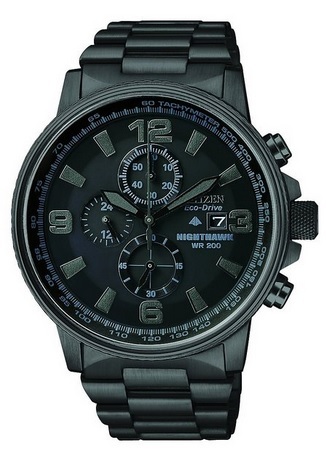 The Skyhawk men’s watches are actually radio-controlled for time accuracy! It is a light-powered watch, which means it charges using the light, either natural light or indoor light! Most buyers agree this is a superb watch and even though it looks big and heavy, it’s also very lightweight to wear! If you are a fan of titanium watches, then give this one a try! This is a high-quality, absolutely stunning Hamilton men’s watch! Everything is beautiful about this watch! One of the most stylish watches for men without a doubt! Hamilton is also a great watch brand their watches have been around for over a century! 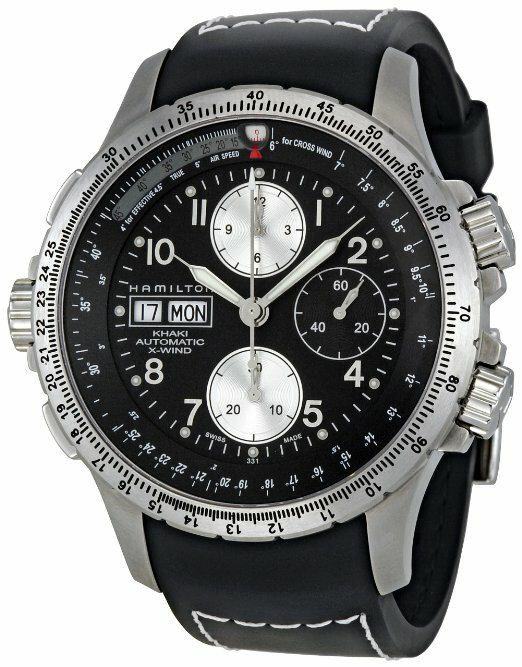 This is a solid, elegant and very modern high-quality black Hamilton men’s watch for sale! The black rubber strap makes it very comfortable to wear and I love the day of the week large display at the 9 o’clock position! It is a beautiful casual watch for men and will also make a wonderful Christmas gift idea for husbands! 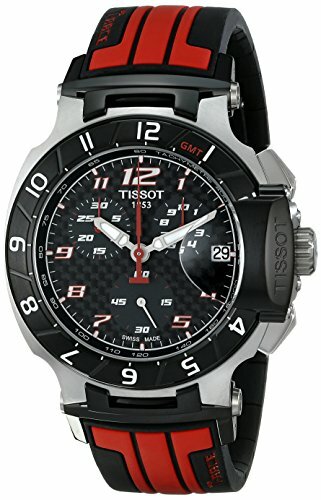 This Tissot black and red silicone strap men’s watch is perfect for guys looking for a good quality sophisticated sports watch! It has a gorgeous design! You can also see the date display at the 3 o’clock position. It looks great on a man’s wrist and will get him lots of compliments! Casio G-SHOCK 30th Anniversary Initial Blue LIMITED EDITION Gorgeous Men’s Watch for Sale! Casio watches are among the best watches for men period! First of all they are absolutely gorgeous! They are very reliable, very stylish and overall less expensive than other brand watches. 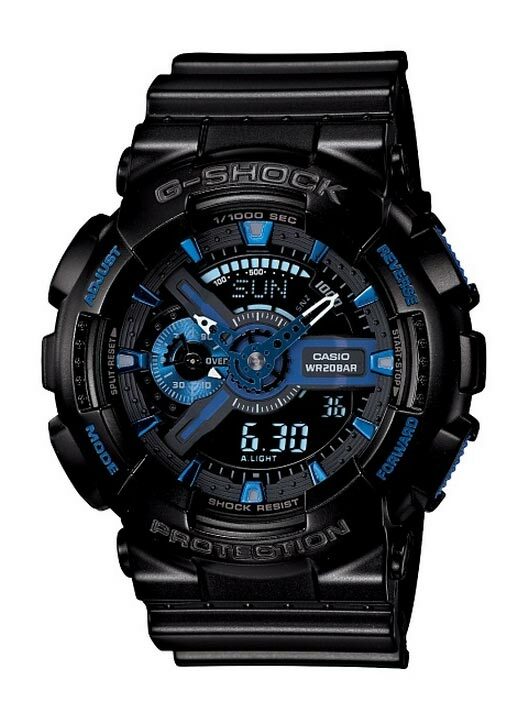 This is the Casio G-Shock Japanese blue series watch and it’s stunning! If you are planning on giving this watch to your husband this Christmas, go for it! He is gonna love it! 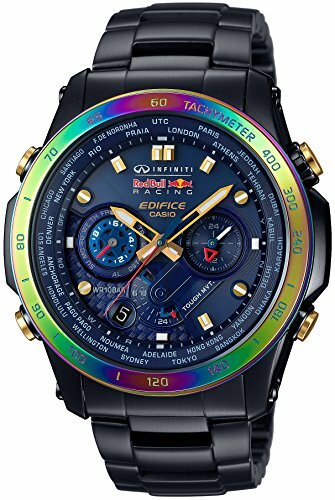 Best Casio Watches for Men! Casio makes some of the best wrist watches for men! Casio sports watches are among the most popular watches for men, and they are high-quality watches at good prices! This is a gorgeous colorful solar radio and waterproof Casio watch for men that is also very tough and it looks great! One of my favorites from this page! Men love this Casio watch and it makes a great gift idea for husbands, sons and boyfriends! 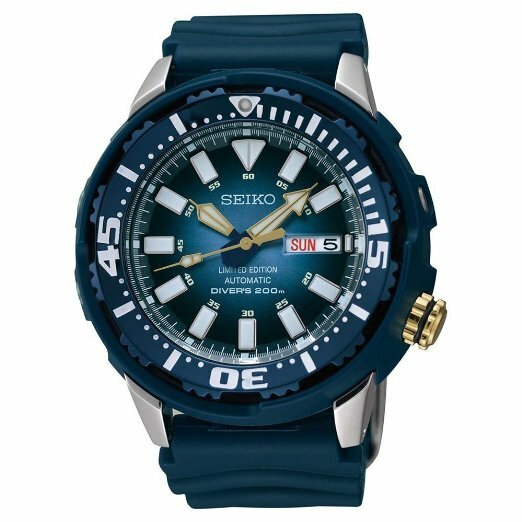 If you are looking for the best watches for men under 500 dollars, you are going to love this gorgeous blue Seiko Monster watch for sale! It has an amazing blue color and a very bright fluorescent light and a gorgeous ‘rugged’ look! You won’t believe the price either! It is very affordable, considering you are getting a superior high-quality timepiece! Happy buyers said the picture does not do it justice! It is even more gorgeous in person! One of the best characteristics of this amazing ‘Nighthawk’ eco men’s watch, besides looking absolutely gorgeous, is that it converts light into energy! It doesn’t need a battery! It is a stunning men’s watch too, all in black, that looks fabulous on a man’s wrist! Great Christmas gift idea for husbands! Best Contemporary Stylish Watches for Men! 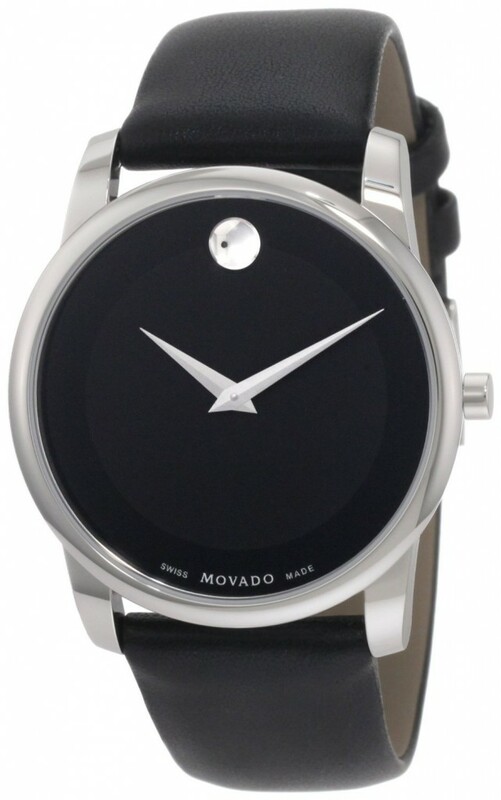 If you want to step away from the sport watches a bit and look for gorgeous and modern men’s watches under 500 dollars, I believe you are going to love this Movado stainless steel black leather men’s watch for sale! It is very stylish and it looks very fancy! I love the single dot marking the 12 o’clock position! Buyers are very happy with its impressive fashionable look! Makes a great birthday gift idea for husbands, sons, brothers and boyfriends! The Most Beautiful Wrist Watches for Men! 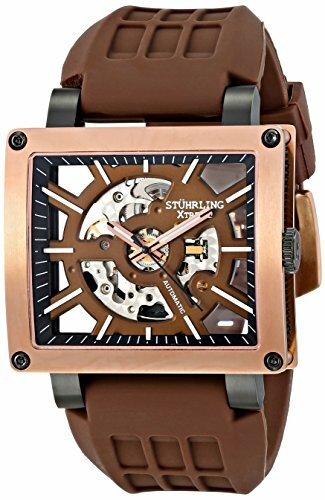 How gorgeous is this brown Stuhrling rectangle watch for men? It is definitely one of the most beautiful men’s watches around! It is very affordable too! I love this modern rectangle shape and the skeleton dial! It also has a nice chocolate brown rubber strap! You can never go wrong with the Stührling Original watches, since they have been around for a very long time! Needless to say this gorgeous watch will make a very nice Christmas gift for your husband ladies! 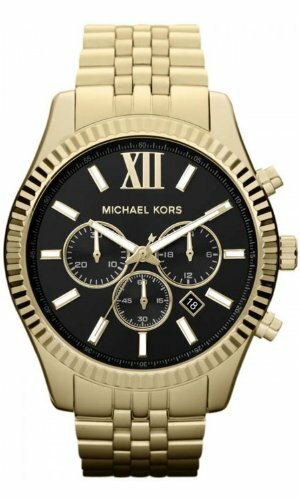 This is a gorgeous Michael Kors stainless steel gold men’s watch with a black dial color! Very classy watch for men! Perfect birthday or anniversary gift idea! Best Affordable Men’s Watches under 200 Dollars! 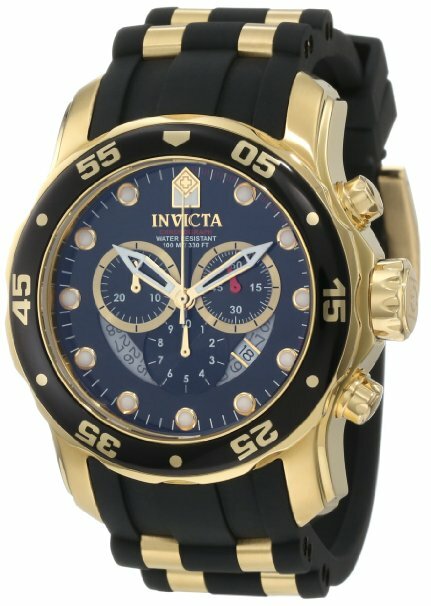 If you are looking for the best and most affordable men’s watches under 200 dollars that look fancy, I highly recommend this stunning Invicta men’s watch for sale! Invicta watches for men are also a very popular watch brand that creates beautiful, high-quality watches without the steep price! First of all it is absolutely gorgeous! It is a big and very attractive men’s watch! It is water-resistant and it has beautiful colors! 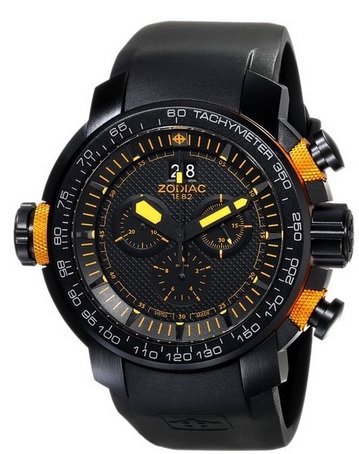 It is a high-performance and very stylish sports men’s watch at a very reasonable price! 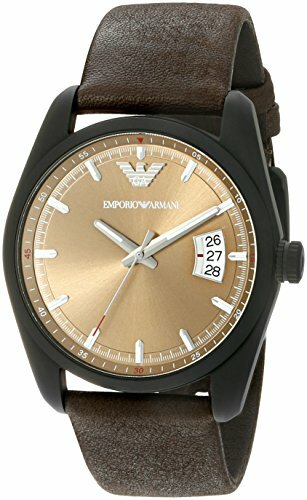 My Favorite Best Men’s Watches for Sale! I guess you never expected to find a gorgeous designer men’s watch that is affordable right? 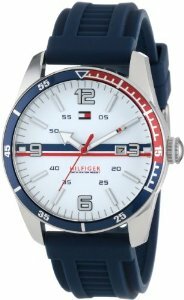 This is a very stylish and very cool sports casual Tommy Hilfiger men’s watch for sale! It is a ‘classy’ sports watch! I love the silicone strap too! Must be very comfortable on the wrist! This cool watch will make an awesome Valentine’s Day gift idea for your boyfriend! Beautiful Designer Watches for Men! Like I said before, I guess you never imagined you could wear a gorgeous and very stylish Emporio Armani leather watch on your wrist for such an affordable price! This is a stunning timepiece! I am absolutely in love with the gorgeous brown leather strap! Great sports dress watch for men! Timex Brown Leather Gorgeous Strap Watch for Men! And I definitely saved the best for last! This is by far the most gorgeous men’s watch in my opinion! 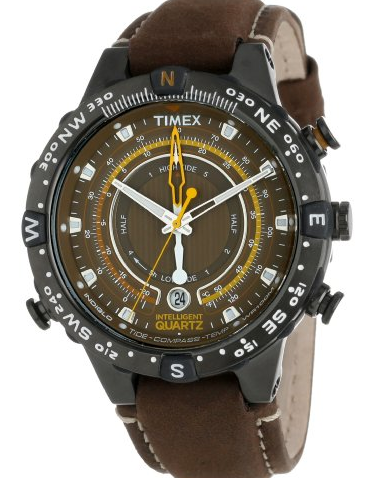 It is a stunning Timex chocolate brown leather men’s watch under 200 dollars! This chocolate color is absolutely amazing! Very attractive watch for guys of all ages! As you probably know, Timex is one of the best-known and most successful American watch companies! *I hope you liked my selections of best wrist watches for men from this page guys!